Let's take Alice and Bob, both healthy adult human specimens. Alice is (A-). Bob is (B+). If they decide to have a child, would Alice's pregnancy involve any additional risk or complications compared with, say, Abraham and Abigail's pregnancy (both AB+)? I overheard claims that pregnancies from parents with different blood groups can lead to complications in pregnancy due to interactions between the mother and the child's blood. (These claims were not officially backed, otherwise I would have brought them up on Skeptics.SE). The explanations and my Google browsing went beyond my biology knowledge. I know these pregnancies must be viable, since the AB group exists, but I do not know if there are edge cases that lead to complications that would not happen with same blood type parents. Can the mating of a couple with Rhesus positive and negative blood types result in miscarriage? This question only asks about Rh+ and only if it leads to miscarriage. If the mother is rhesus negative and the father, rhesus positive; then the birth of a child with Rh+ blood group (inherited from the father) can cause the mother to build antibodies against this blood group. Therefore, a second pregnancy with a child that also has Rh+ blood group can have complications if no precautions are taken at any other point. If these specific conditions are not all met, then no complications should arise from the blood groups. The only complications that will occur will be in the birth of the second child, and that too if the second child is conceived soon after the birth of the first. 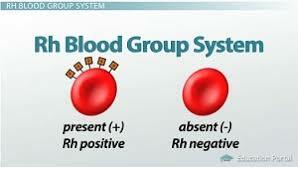 Rh factor is an antigenic protein found on the surface of the RBCs of some individuals( rather, 'most individuals'). If the factor is present, the blood group is written with a positive(+) sign, and if it is absent, the negative sign(-) is used with the blood group. Therefore, in your example, Bob, Abraham and Abigail have the said factor on their RBCs whereas Alice does not. As a matter of fact, our body has a mechanism because of which it produces antibodies against foreign antigens. Antibodies are simply substances released by our specialized cells to counter toxins and foreign antigens. These antibodies bind with the specific antigens (against which they are released) to render them harmless. The fact is that these antibodies, once produced in our bodies, remain in the bloodstream for a certain interval of time, and there presence protects us from future infections by those antigens(This is the principle exploited in vaccination). Let us relate this knowledge of antibodies and antigens to the Rh factor. Let's say that we make a blood transfusion from an Rh positive person(like Bob) to an Rh negative person( like Alice). Since for Alice, the Rh antigen is a foreign antigen(because it is naturally absent from her blood), she will get sensitized and develop antibodies against it. However, these antibodies will not attack the antigens immediately. They will come into action only if the antigens are again brought into the bloodstream, i.e. another transfusion is made sometime later. 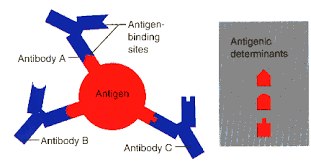 These antibodies will then bind to the RBCs carrying it, and result in agglutination, or clumping of RBCs. The clump of RBCs thus formed blocks the passage of blood to the heart, resulting in death. So, if Alice and Bob conceive a child together for the first time, the fetus will be Rh positive(because if the factor is present in any one parent, it will also be found in the child), and it will sensitize the blood of the mother. At this point, if you know some basics of biology, you will think that since the blood of the mother and the fetus never comes in contact, the fetal blood should not be able to sensitize the mother's blood. If you think so, you are absolutely right! The placenta does not allow their blood to mix. However during the parturition, rupturing of placenta often occurs, causing just a small amount of the fetal blood to mix with that of the mother. Even this small amount is enough for the mother to be sensitized and develop antibodies against Rh factor. Thus, you can see that Alice and Bob will have a problem with their 2nd child, whereas Abigail and Abraham will not, since they are both Rh positive and Abigail won't be sensitized. 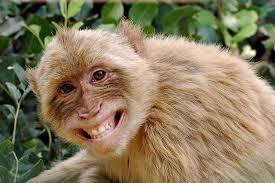 FACT The Rh factor was first found, and named after, the common Rhesus monkey!! Not the answer you're looking for? Browse other questions tagged human-biology reproduction blood-group or ask your own question. Can the mating of a couple with Rhesus positive and negative blood types result in miscarriage? How can the child and the mother have different blood types? How many blood types are there? Which types of blood vessels can regenerate in humans/mammals? Is there a simple test that can differentiate menstrual blood “ period blood” from spotting blood?